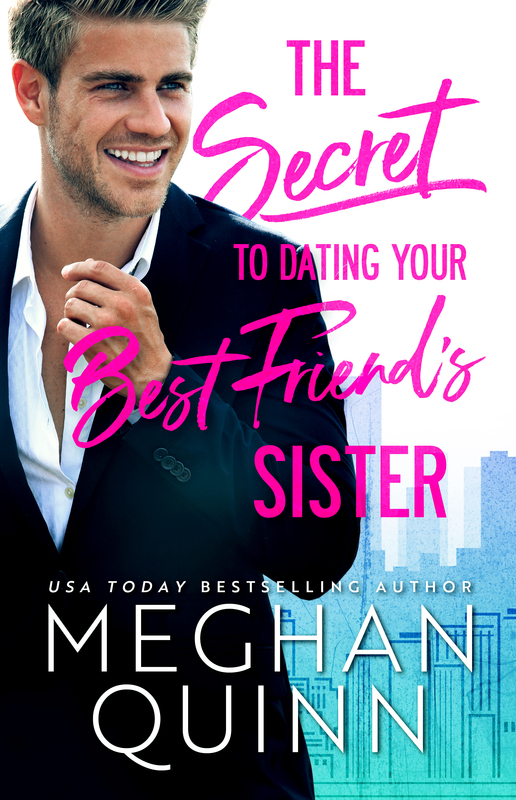 THE SECRET TO DATING YOUR BEST FRIEND’s SISTER has got to be one of the longest titles for a book! 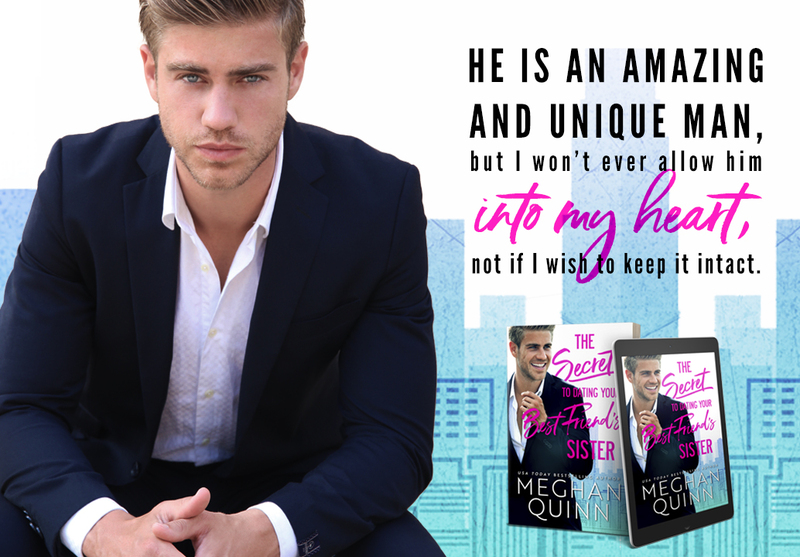 I just love me a good romcom by one of my favorite authors, Meghan Quinn. Her humor has me rolling on the floor with a stomach ache from laughing so hard. This story had plenty of laughs, heartbreaking angst, and crazy good love! Bram Scott is a book boyfriend who will make many a reader swoon. I found it impossible not to fall in love with his character. The lengths he goes to in order to win Julia’s heart are what make him one of the most loveable book boyfriends. Julia, however, was an extremely frustrating character. It took me a very long time to warm up to her character. I get that her insecurity was a huge factor in why she was so closed off emotionally, but this woman is supposed to be highly intelligent and I didn’t get how she could be so blind to what was right in front of her the whole time. Her stubbornness had me wanting to throw my iPad against the wall a few times. But Bram is a pretty amazing Hero and when things started to take off between them, my frustration started to diminish, however, if you are a true romance fan, then you know that the happy floating on a cloud times are usually temporary and something ultimately will come along to put the couple’s love for each other to the test. I was right back to disliking Julia again and I knew if she did not make some sort of grand gesture to prove her love for Bram, this was going to be the first time I didn’t love a Meghan Quinn book. Thankfully, Meghan knew what she had to do to make me happy!! 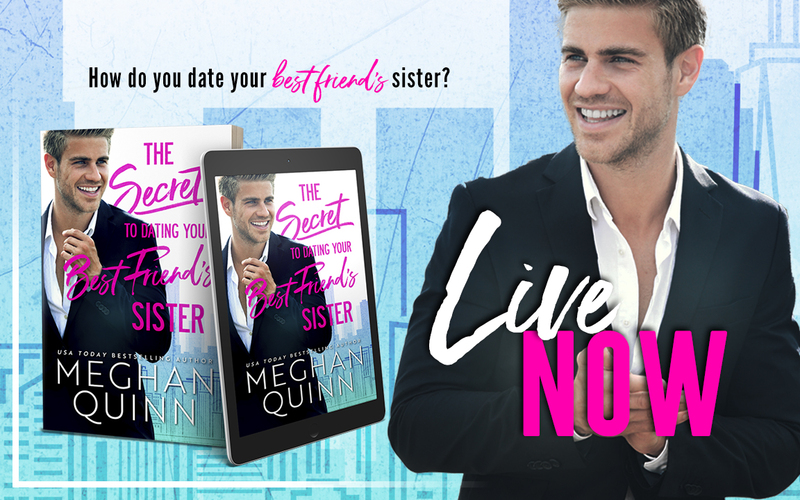 THE SECRET TO DATING YOUR BEST FRIEND’s SISTER is currently available! I predict we are in for another superb series by the amazing Meghan Quinn! !